After beating Tunisia 3-2 in the fourth round of the 2019 African Cup of Nations qualifiers, Egypt’s assistant coach Tito Garcia has praised the tactics of Mexican coach Javier Aguirre, as well as his ability to lead the team during the game. The Spaniard also said that no one should compare Aguirre to Egypt's former coach Hector Cuper as the pair have different styles. 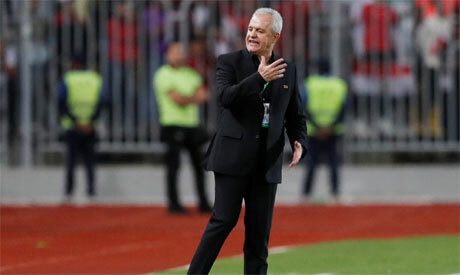 "We respect Cuper as he is an international manager who played in the 2018 World Cup and two Nations Cup finals," Garcia told a television programme late on Saturday. "The two coaches play with different playing style as Cuper concentrates on defence while Aguirre in his tactics depends on attack. "But who we are to say who is best and who is worst? They are like [Manchester City coach] Pep Guardiola and [Manchester United coach] José Mourinho, the duo are in top positions," Garcia said. Mexican Aguirre was named Egypt's new coach this summer, succeeding Argentinean Cuper, who parted company with the Pharaohs following their poor 2018 World Cup campaign. "Aguirre has a great experience and he is intelligent so he is working according to the players' possibilities. "The Egypt national team has attacking possibilities so we prepared a special style to make use of the players’ performance," Garcia said. The Pharaohs defeated Tunisia 3-2 to come out on top in their first real test under the Mexican coach, whose first three matches in charge ended with comfortable wins over Niger and eSwatini (twice). "To beat Tunisia was important for the Egyptian people, especially after Ahly lost the CAF Champions League title to Esperance," Garcia told a local television programme late on Saturday. "The players' performance helped the technical staff to make use of more score chances as Aguirre always plays with an attacking strategy." "The Egyptian people should be proud of their national football team as the players met with Aguirre's appreciation," the assistant coach added. Egypt are joint leads with Tunisia on 12 points, but the latter are the favourites to finish on top. "We will fight to win the Nations Cup title as we have a big ambition and there are three or four teams competing with us for the tournament's title," Garcia concluded.